Light painting is a beautiful abstract lighting technique that can effortlessly evoke colour and energy from a composition. Longer shutter speeds allow bright light to be "painted" across the sensor, resulting in swirling lines of light and pattern. By lighting our product separately using speedlights, we can cull and composite the strongest light patterns into our shot. 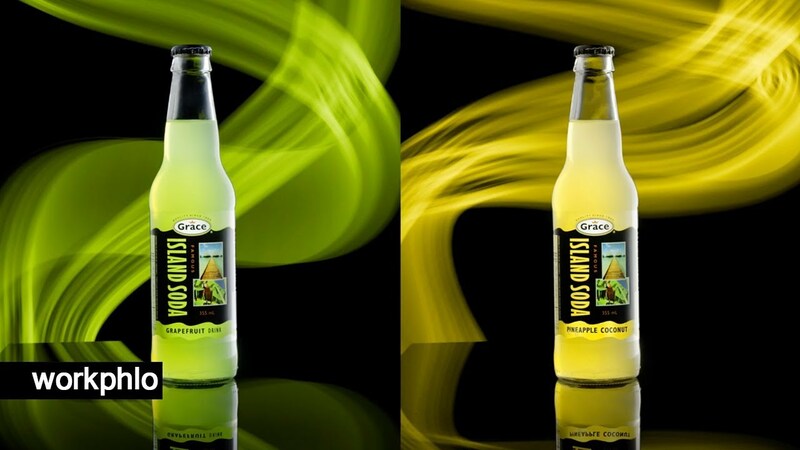 Let me run you through my workphlo for how to photograph bottles with a light painted background.